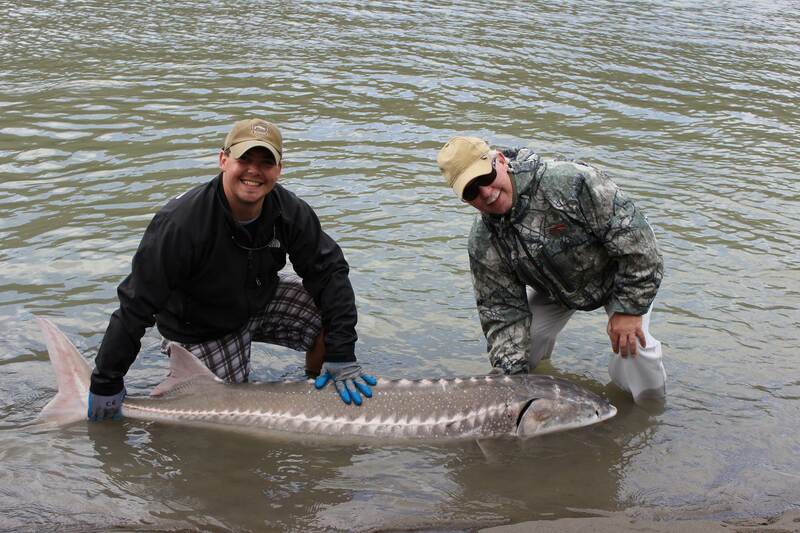 Here are some pictures from this week, some great fish caught the last couple days on the Fraser. 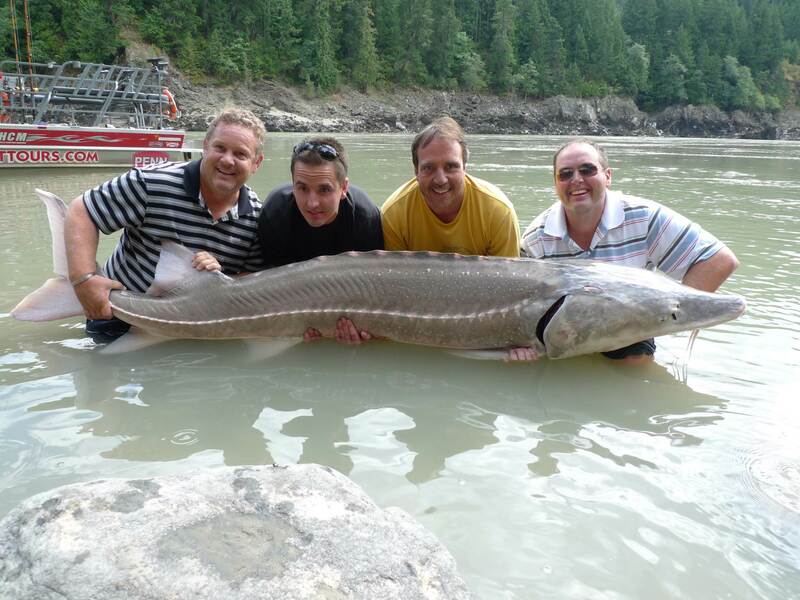 This group from Grande Paraire Alberta landed 2 fish over 7ft, this one was 7ft 11 inches. 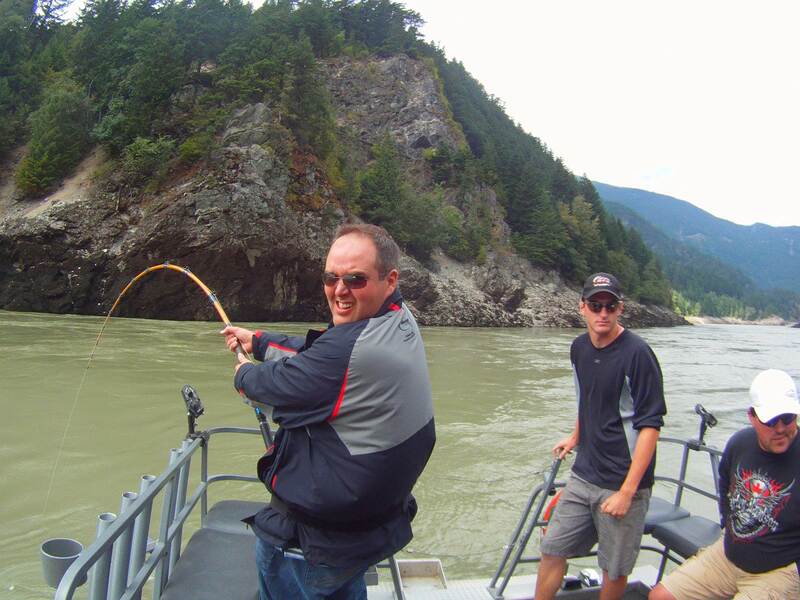 Wow, that rod is cranked, we landed this fish the hook was starting to straiten. 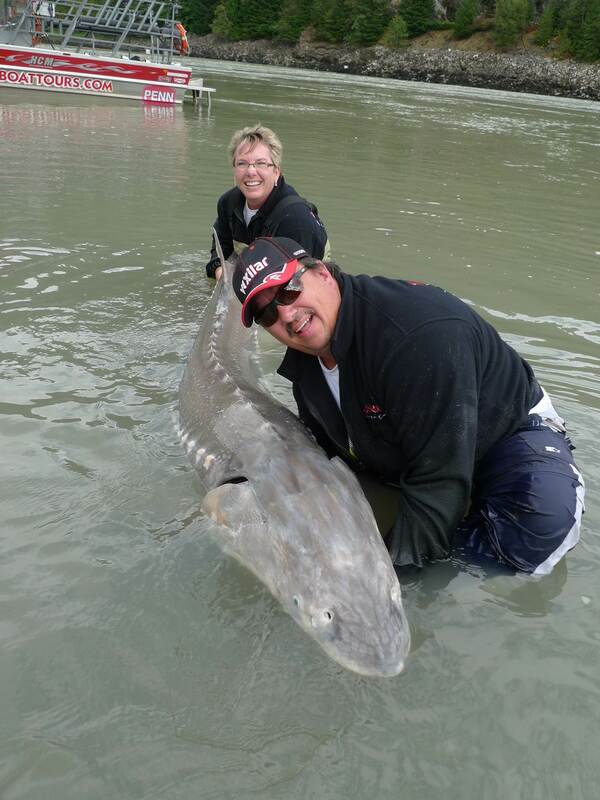 Frank and Dorthey of Winnipeg landed this 8ft 1 inch sturgeon on Wednesday, with the 6ft 2 and 5ft on Tuesday, they went home with sore arms. 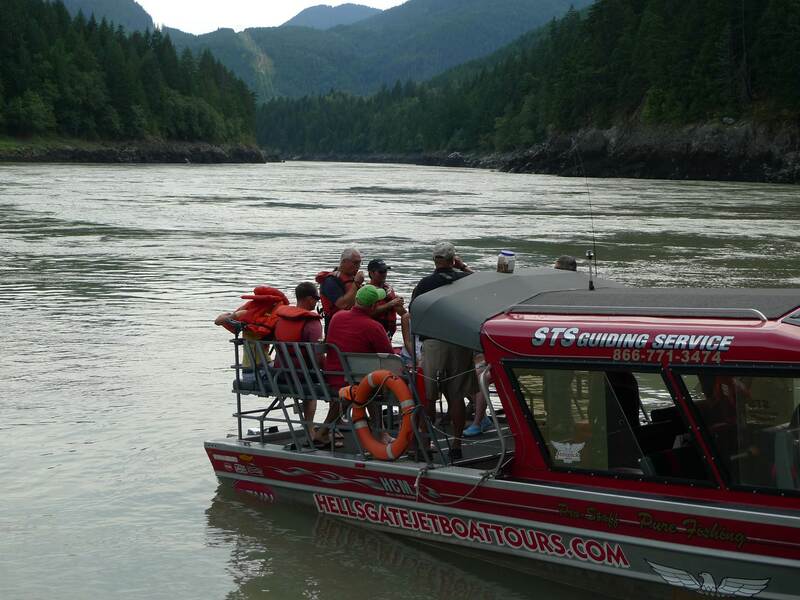 STS is the only guide outfitter taking you deep into the canyon, come join us for a day you won’t forget.